How do I backup my Drive? As with the above items, select “Drive” at the top, and then select the 3 vertical dots beside the folders in that drop down (This may include “My files” and/or any other folders you have created). When you select “Download Entire Folder”, this will save the folder as a .zip file to your computer’s hard drive. 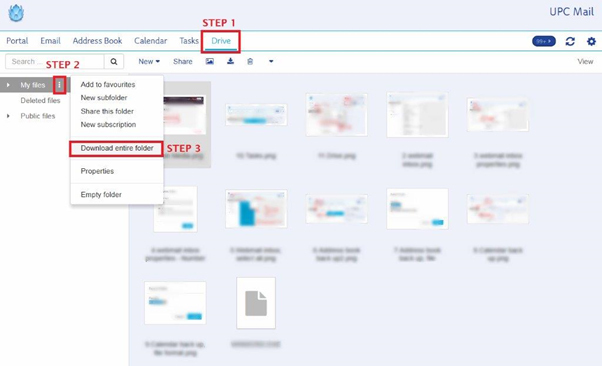 Please note: You will need to follow this process for any individual folder you might have.